Want More Than a Kick out of Karate ? Karate - Vital, Alive. A way to explore the edge of human potential. ...watch this 2014 grab from JKA Sohonbu training. This environment will be instantly recognisable to anyone who has more than dabbled in the JKA approach to our art. If you or the people who lead you do Keiko anything like this you are on a well worn road towards revealing your nature as a person. 'Be Moved' and keep moving..! Violence, bullying and crime are definitely not what they used to be! More than ever in our homes, schools, workplaces and out on our streets, bad guys are still messing with people’s minds, bodies and property. As a peaceful citizen, you deserve to have the tools to take anything that comes your way - in your stride. And... as good as you want to be at this fantastic global Martial Art! ..if you had everything you need right now at your fingertips to be all this and be better at the most popular of Japanese martial arts styles. You will soon have the benefit of the best information, Technical Tips and Tools learned over decades from our Shotokan masters. Our aim is to cram more quality stuff into one site than you will find anywhere else on the net. .. if it's not here - tell us and it soon will be. Now you can accelerate your progress with FREE ADVICE on your Shotokan kata, Karate Blocks, Kicks, Strikes, Stances - or any aspect of this globally established martial art. Maybe you're just looking for Kata Videos, Books, Belts, Uniforms, Sparring Equipment, Weapons or Mats.....you might want to know more about the history of the art or its masters past and present. The knowledge and resources to hone your skills both inside AND OUTSIDE of the dojo are not far away. It's time to... get far more than a kick out of your Karate! 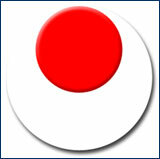 The Dynamic Karate Blog keeps you up-to-date with all additions and changes to the dynamic-karate.com web site. JKA Karate is the Way of Balance. JKA World Federation is the Largest and Most Prestigious Traditional Karate Group in the World. The History of Karate from ancient eastern combat system to modern global phenomenon. How it evolved into an Art form and a Sport. Today’s Karate Master has more than great Karate Technique. He is an innovator and keeper of tradition - still able to take his place in Martial Arts History like Gichin Funakoshi. 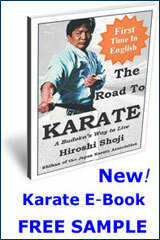 Karate Legends like Hiroshi Shoji are part of Shotokan Karate History. Shoji was a Karate Master who trained relentlessly in Karate Basics to become a truly great exponent of Shotokan Karate Kata. Gichin Funakoshi was more than a Karate Master or teacher of Karate technique. 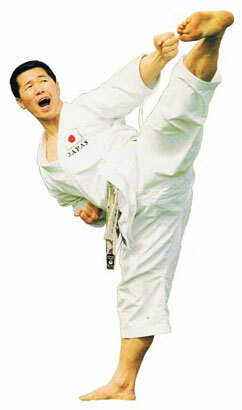 He has become a legend of the Japanese martial arts and a giant in martial arts history. The Shotokan Tiger Tora Keinosuke Enoeda - From our Karate Legends Series. The Shotokan Tiger Tora Enoeda stands out among Karate Legends. He was a Karate Master with awesomely powerful Karate technique and one of the most charismatic figures in Shotokan Karate History. Shotokan, Wado Ryu, Kyokushin, Shito Ryu, Goju Ryu. Major Japanese Karate styles all share a common line back to Japan. What else do they have in common and which one is best? Repeating Basic Karate Moves leads to good Karate techniques. Whether it’s Karate kicks, Karate blocks, Karate stances, Karate punches or Karate strikes, the secret of how to learn Karate is - basics. Karate Kata - The Road to Perfection or Just Dancing? Karate Kata is the home of Karate Techniques. Karate Bunkai tests Karate Forms and brings them to life. See a full list of Shotokan Katas. Be inspired by Kata Videos. Kyokushin Karate Tough and Uncompromising. There's No Other Style Like It. 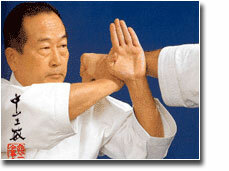 Kyokushin Karate founded by legend Mas Oyama is known as The Strongest Karate! Bare-hand full-contact fighting and the punishing 100 Man Kumite test make Kyokushin a unique traditional Karate style. The name Mas Oyama is familiar to anyone involved in Martial Arts. Fighter, showman and founder of the Karate style Kyokushinkai (Ultimate Truth) Oyama tested his Karate power against man and beast. Cage Fighting is great for Japanese Karate. MMA training brings the best fighting systems together as one. MMA fighters like Lyoto Machida have proven that Karate can produce top class cage fighters. The Traditional Karate Woman and Karate Girl are discovering that other Female Martial Artists - especially MMA Women - are ready and willing to engage in real female fights. Karate Stories, Articles and Karate Words of Experience. Karate Information and Martial Arts Stories. A great resource for the thinking Karateka and a good place to stock up on Martial Arts Info. Karate Movies, Cool Karate Kata Videos, Shotokan Karate Video and Kata Videos. Good Karate Movies were once hard to find. Now Karate Video and Kata Videos are everywhere. But how do you dig up the very special Shotokan Videos or coolest Karate Kata Videos that are out there? You can’t really learn Karate at home but I’ll give you great info on Japanese Karate especially Shotokan Karate Techniques. Why is JKA Karate so popular? Why should you try it? Here are the reasons why JKA Shotokan is the most widely practiced form of Karate in the world.